Apothecary show globes originally served a practical purpose as a way to distinguish between an apothecary’s shop and other businesses. They were first introduced on the streets of Britain as a way for the general public who was typically illiterate to be able to recognize the symbol rather than having to read a name or sign. Also during that time, the streets were often narrow, winding roads with little or no street lighting so the show globes could easily be spotted because of their bright colors and the fact that they were often lit from some source. As the show globes grew in popularity they became a well-recognized symbol of the pharmacy profession but also a place to obtain pharmaceutical supplies or remedies. They were kept in production until 1965 until they slowly disappeared from pharmacy windows. The exact time and place of their creation can be debatable, but a lot of sources place their origin in Britain and by the eighteenth century these colorful show globes were commonly found in English nations. Around 1789, show globes could be found in the United States, one could find them being publicized in New York advertisements and there even were published directions on how to prepare the color liquids to fill these globes. “For example, a crimson or pink color could be achieved by dissolving nickel in nitric acid and adding a cobalt in ammonia solution. Blues and purples could be made by dissolving copper sulfate in an ammonia and water solution.” Being able to achieve these different colorful liquids on one’s own was also seen as a sign of being as an accomplished druggist, so by displaying these show globes on the windows many in the profession sought to distinguish themselves from lesser skilled Apothecaries. 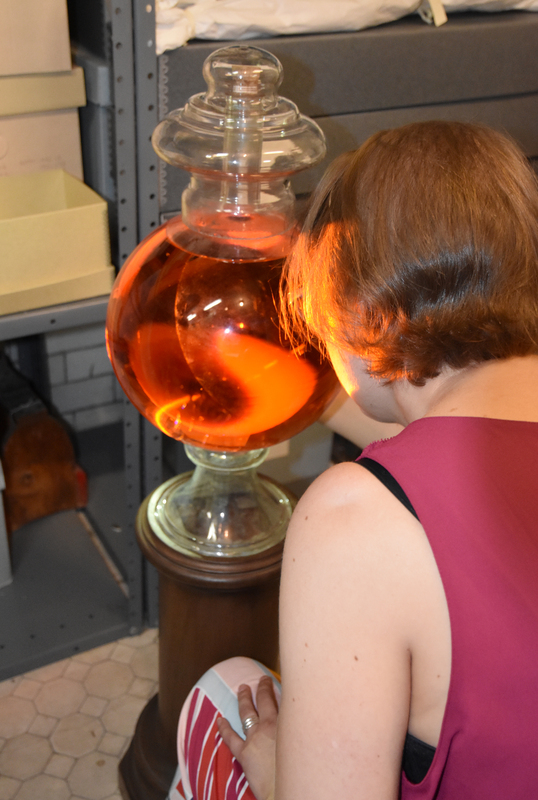 We currently have two Apothecary show globes in our collection, they were donated in 1985 by Raymond Johnson and are described as Apothecary globes, which sit on columnar mahogany bases, the bases have hollow centers. 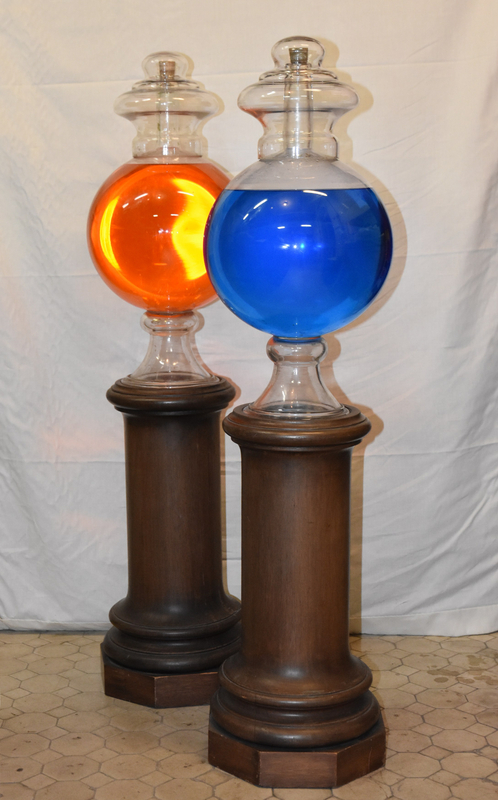 One globe contains a blue colored liquid and the other one an orange colored liquid; and are said to be dated from around 1895. Our records indicate that they were used at Anthony’s Drug Store, but upon more digging, I found that they used to belong to the E. P. Anthony drug store, which was a pharmacy owned by Edwin Perkins Anthony (1850-1924), the drug store operated from a building on the corner of Angell Street and Thayer Street (178 Angell Street) and was founded in 1895. The company would later become E. P. Anthony, Inc. Our records indicate that the same year we got the show globes the business was purchased by pharmacist Richard Yacino and would become E.P. Anthony Pharmacy which is no longer in business today. 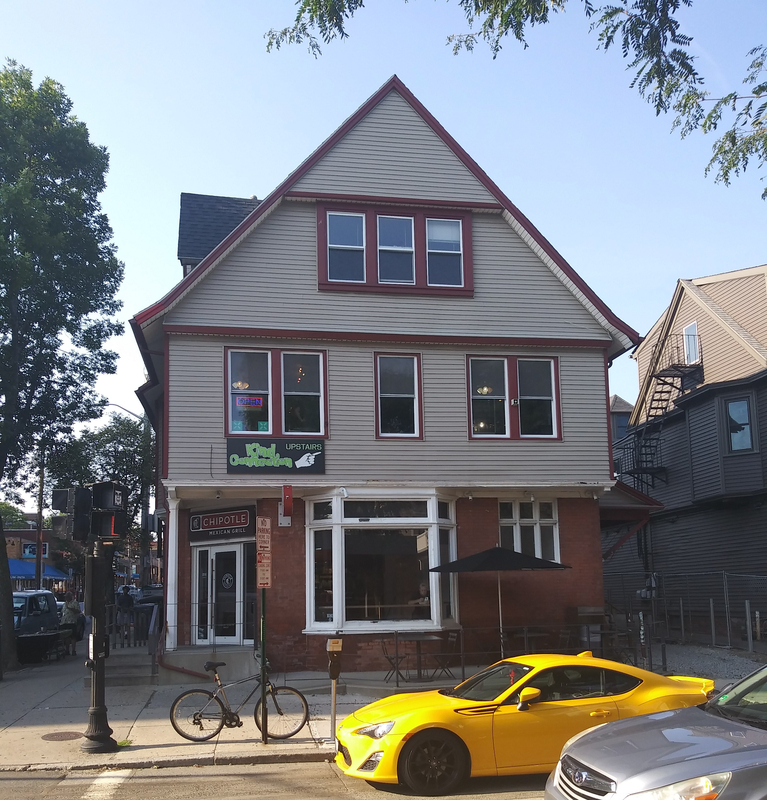 Picture of 178 Angell Street today. This would of been the location of E. P. Anthony Pharmacy. “History of Show Globes.” Julian John Chisolm: Class of 1850, Civil Practice to Civil War: The Medical College of the State of South Carolina 1861-1865. Accessed August 08, 2018. http://waring.library.musc.edu/exhibits/ShowGlobes/History.php. RI Medicine Bottle Company Histories. 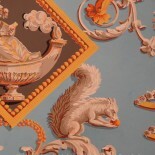 Accessed August 08, 2018. http://tmacsribottleinfo.blogspot.com/2012/11/. Imbrie, Katherine. “Rhode Island Explorer.” Thayer Street Revisited. January 01, 1970. Accessed August 08, 2018. http://exploreri.blogspot.com/2008/03/thayer-street-revisited_21.html. “News Newspaper Archives, Jun 7, 1985, P. 41.” NewspaperArchive.com. June 07, 1985. Accessed August 08, 2018. https://newspaperarchive.com/news-jun-07-1985-p-41/. This entry was posted on 8 August 2018 by rihswebsite in Collection Notes and tagged advertising, apothecary, drug stores, globes, pharmacist, pharmacy.